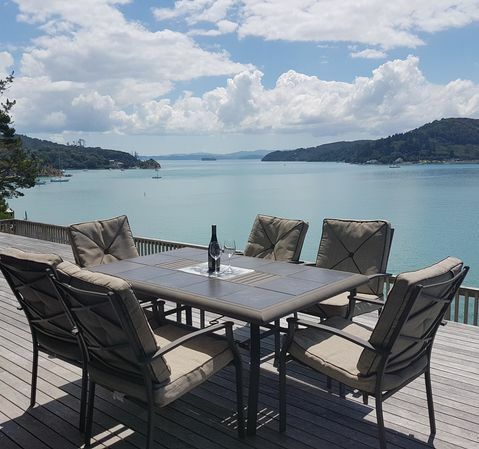 Set up on an elevated site, this property enjoys 180 degree views across Bon Accord Harbour and out to Kawau Bay. No parking hassles, just park your boat up at your private jetty, unload your gear and make your way up to your holiday home. Soft padding of carpet beneath your bare feet, it's home away from home. 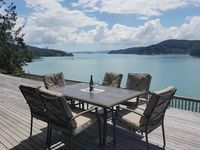 And it doesn't take long before you're relaxing on the deck, glass of wine in hand, and feeling yourself unwind from the busy-ness of life. 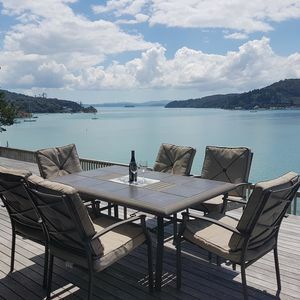 Below is another world where the activity of yachts and various other boats come and go from the local Kawau Boating Club, and shelter of the Harbour. On festive days and nights, such as New Years, you have the prime seat to watch the entertainment unfold. 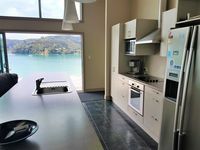 Spacious open plan living, dining and kitchen, as well as 2 of the 3 bedrooms, enjoy the wide Harbour views, with ranch sliders that open to welcome the outdoors in - there is an easy flow to all areas of the house. 3 bedrooms, 2 bathrooms, separate laundry and plenty of storage—all you need to keep life simple. If you feel the need during winter, then the wood burner can be stoked on those chillier evenings. 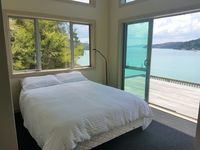 With its own jetty and riparian rights to beach frontage, access to and from the property is made easy. This prime waterfront property could be yours. Give me a call today for more information.